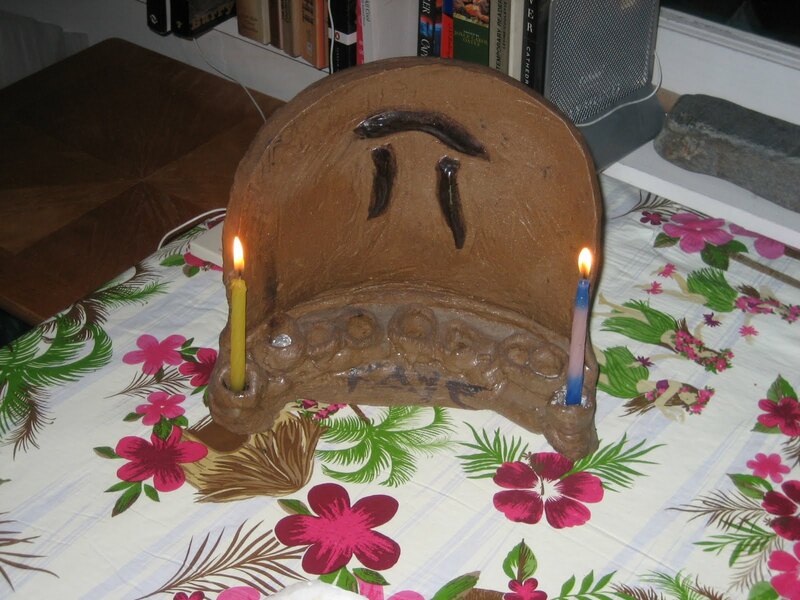 My late mom made this Menorah. If you look carefully, you can see her name, Faye. She is my candle in the dark.